WOKI TALK is a leading walkie talkie supplier in Malaysia , besides walkie talkie, there are 2 way radio & trunked radio in our product list. WOKI TALK also provides total communication solution for customer who needs to have dedicated communication talk group. We proudly present WOKI brand walkie talkie. 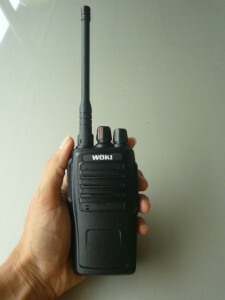 WOKI is a Malaysia brand walkie talkie. WOKI walkie talkie is a two way radio that widely use in wireless communication field. The 16 selection channels provide user freely select the communication group. 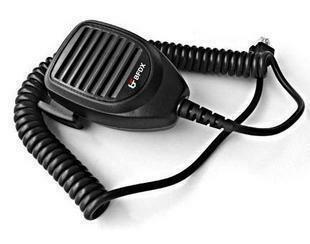 WOKI brand walkie talkie could also be used for demanding user such as two way radio system. It also has the ability to program and carry out the communication task with other worldwide famous brand, such as Kenwood walkie talkie. Hand phone has invaded our life same as walkie talkie. Walkie talkie or two way radio mainly for the user who requires to enhance communication efficiency among a dedicate talk group. asy give and receive instruction / information from a group. User should be able to find the suitable quality walkie talkie accessories in Malaysia’s accessories store.